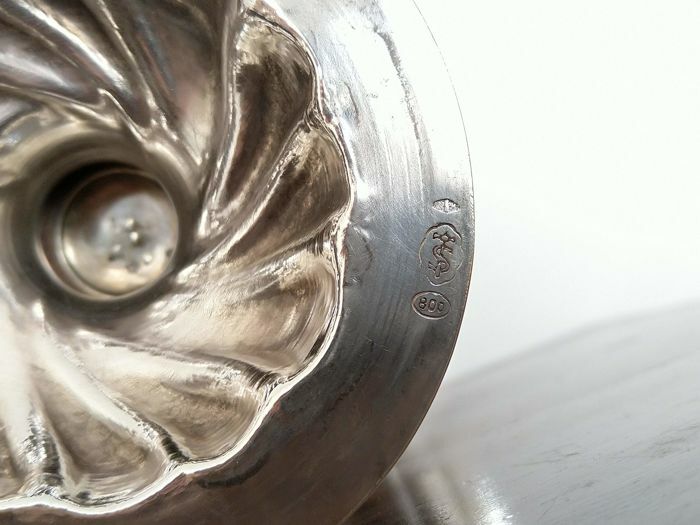 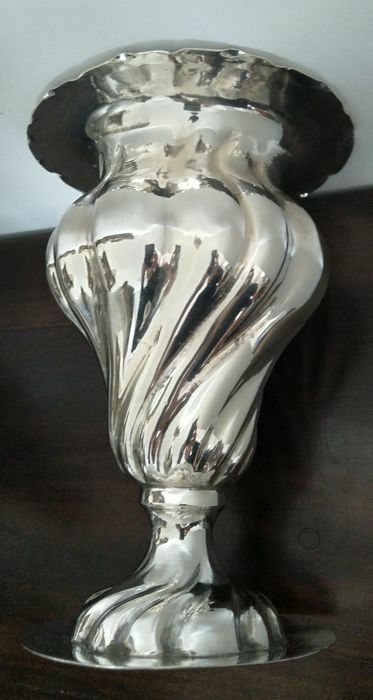 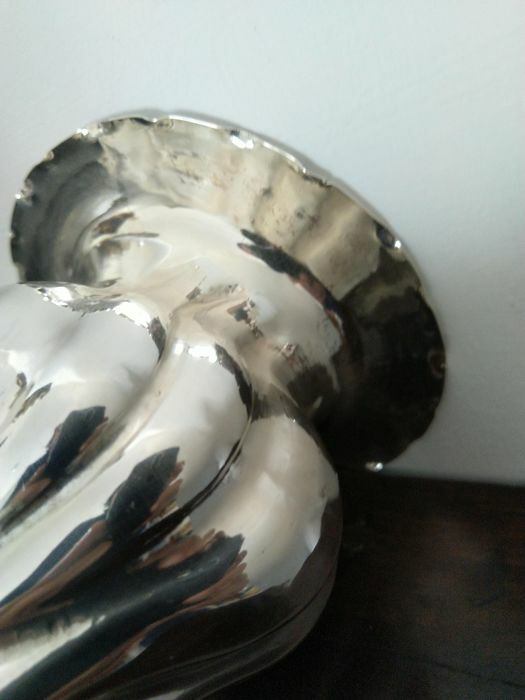 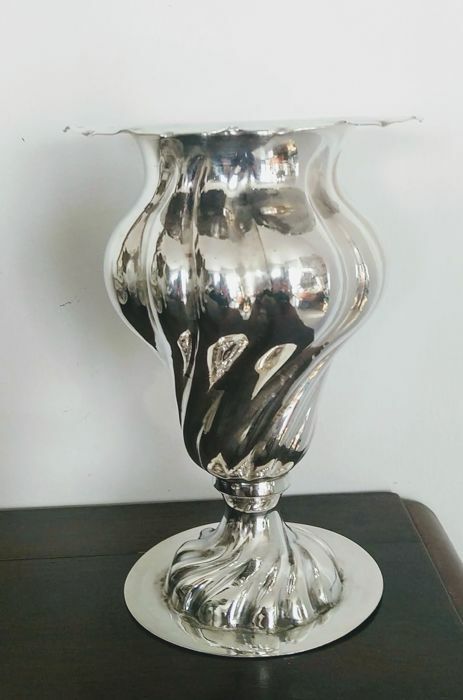 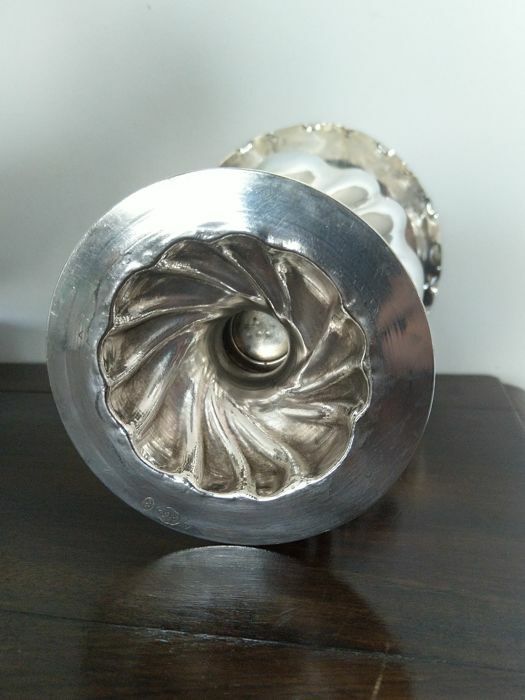 Elegant and richly decorated vase shaped like a calla lily flower, chiselled with torchon motif and internally flared, since at that time it was impossible to make pieces like this by means of mechanical tools. 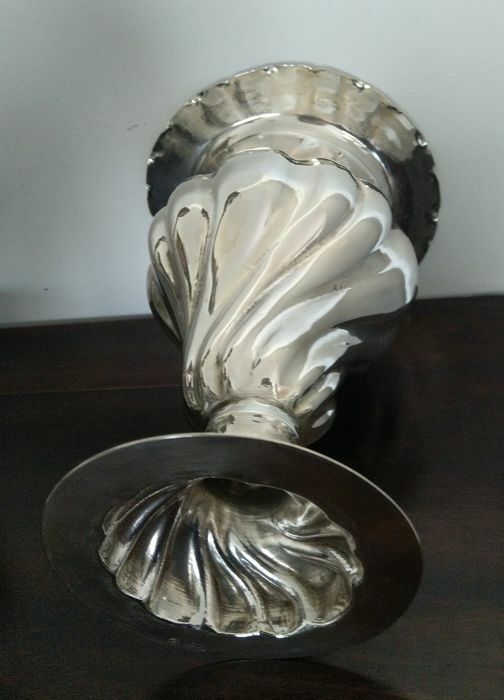 Manufacturer’s hallmark 277 MI, with fasces symbol inside, definitely dating back to the late 1930s and the early 1940s. 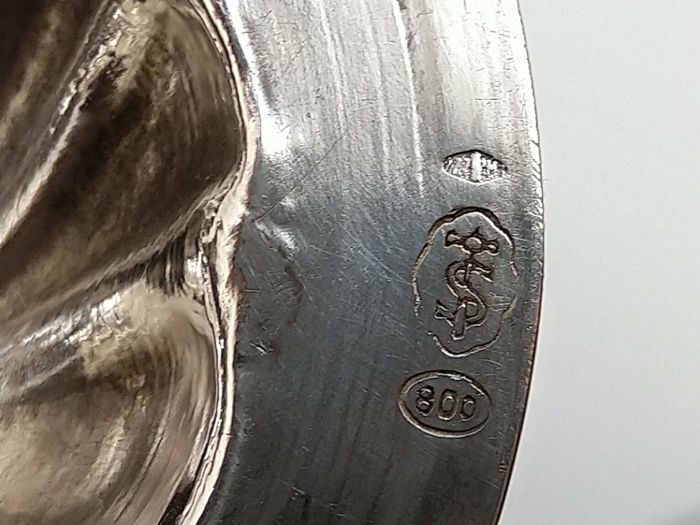 Silver title mark 800 in a circle and dealer trademark with capital S and gavel. 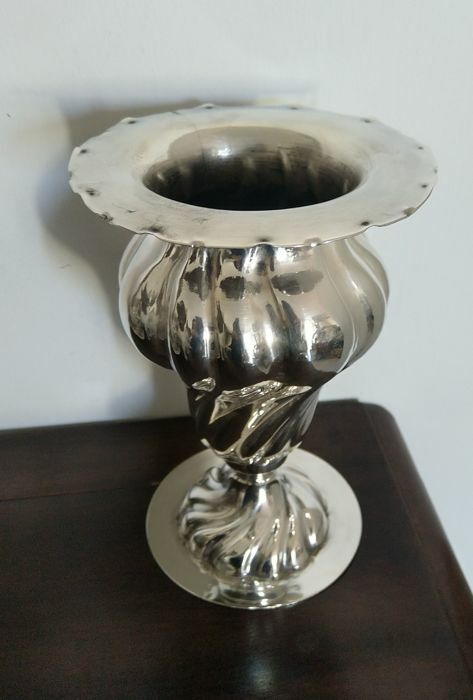 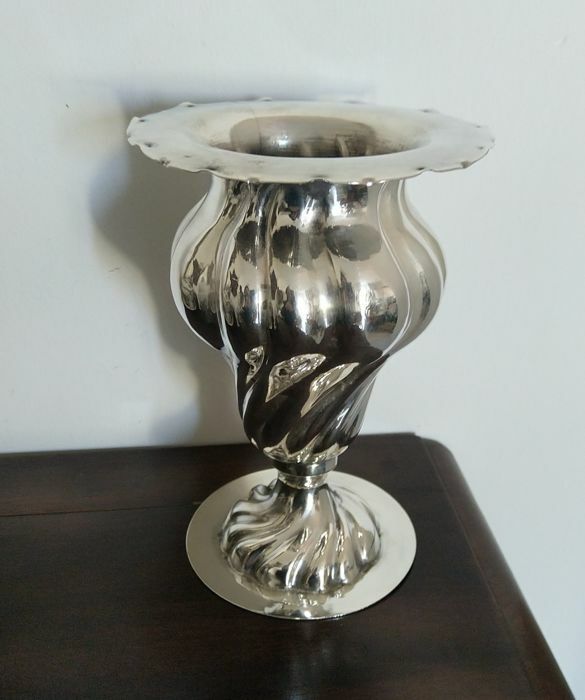 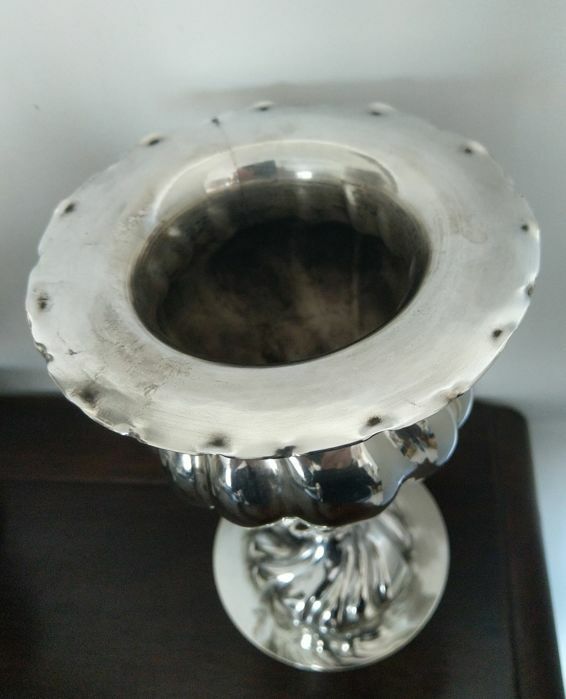 In very good condition, without scratches or cracks, it was pretty much oxidised and could use some further cleaning, even though it has already been well polished.